As a blogger, I'll admit that I get asked to review a lot of things. Some things I say yes to, some things I say no to-- because it is very important to me that I can get behind the product and that it is actually something I would buy for myself. So when I received an email to review a Springfree Trampoline, I knew I was going to have to talk it over with DaddyO first (usually I decide the review opportunities). DaddyO poured over the email, then their website, watching every video on it and reading every page. Our kids had been asking for a trampoline for a long time... but DaddyO and I could not get the old 'deathtraps' of our childhood days out of our minds. We needed to feel confident that this trampoline would be different! Springfree trampolines are designed by a world-class team of engineers, who have eliminated more than 90% of the impact areas including the springs, the frame at the jumping surface, the risk of falls to the ground and the risk of collision with rigid enclosure poles. Springfree trampolines are the ONLY trampoline on the market that has removed the design elements that are responsible for 83% of hospital visit injuries incurred on a trampoline, using strong flexible fibreglass rods instead of springs. After realizing that the Springfree trampoline is NOTHING like the trampolines of our childhood, we agreed to the review. Yes, our children could still get injured on the trampoline, but it would not be the trampolines fault. 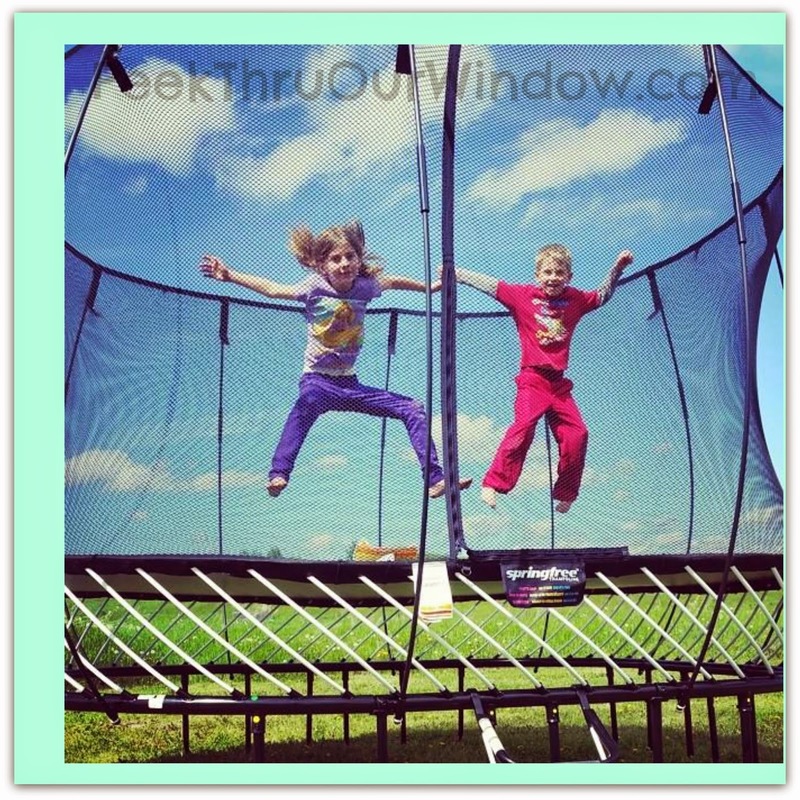 They could just as easily trip and fall walking-- it was time to give up our trampoline misconception! We made plans for the trampolines arrival, saying nothing to our children at all. It was the hardest secret we have ever had to keep... EVER! See post. On one of the last days of school, they arrived home -- blindfolded -- to a Springfree trampoline set up in the backyard! Oh my goodness, what fun! 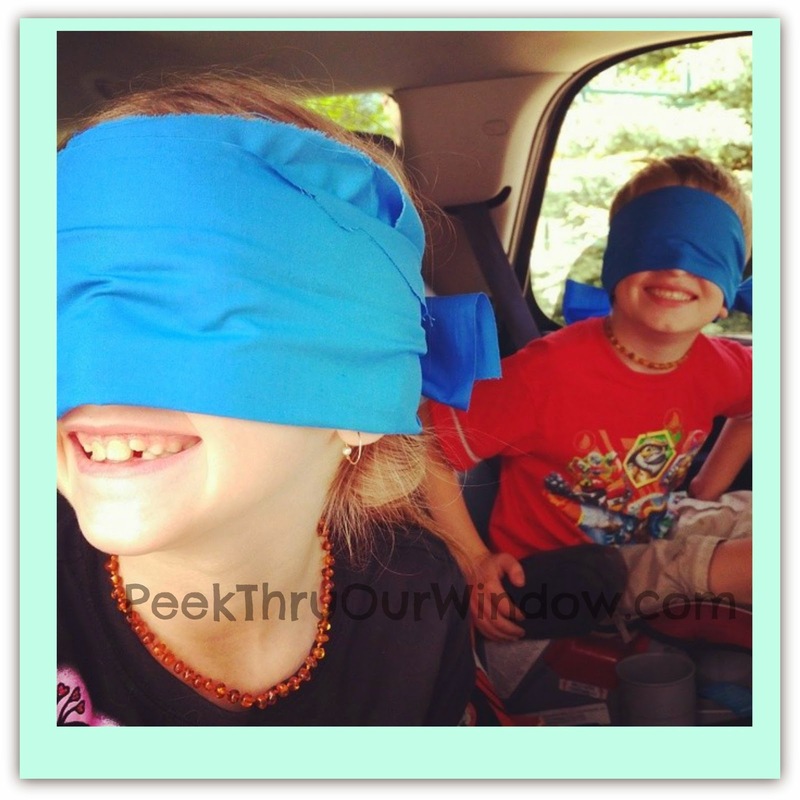 Beebo could kind of see through the blindfold, so she was already quivering with excitement (all they had been instructed was that if they spied the surprise, they were not to spoil it for the other). Xman saw the trampoline and jumped completely out of his shoes... not realizing he was standing in a puddle!! What followed was pure bliss! We are extremely happy with the Springfree Trampoline. It has been so much fun watching the kids jump to see Downtown Calgary, and I look forward to incorporating the trampoline into my own workouts too. Did you know a 10 minutes trampoline jump = 30 minutes of running?? The Springfree trampoline is the best all season backyard fixture out there--- snow, rain or sun, break the 'Cabin Fever' and get jumping! See the video we made for Springfree Trampolines!